Rich, decadent, flourless chocolate cake covered in sweet whipped cream, and crowned with a glittering white chocolate snowflake. 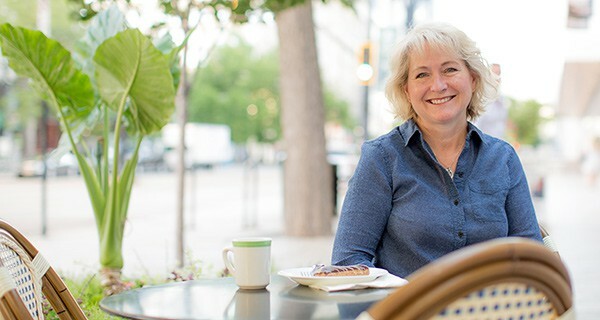 I recently had the pleasure of meeting Letty Flatt, the Executive Pastry Chef at Deer Valley, an upscale ski resort in Park City, Utah. 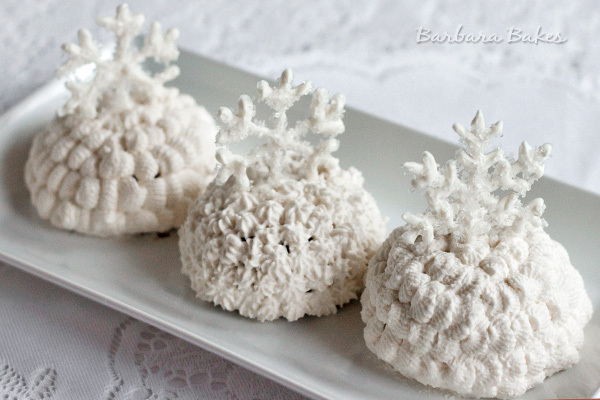 Letty is also the author of a delightful cookbook Chocolate Snowball. 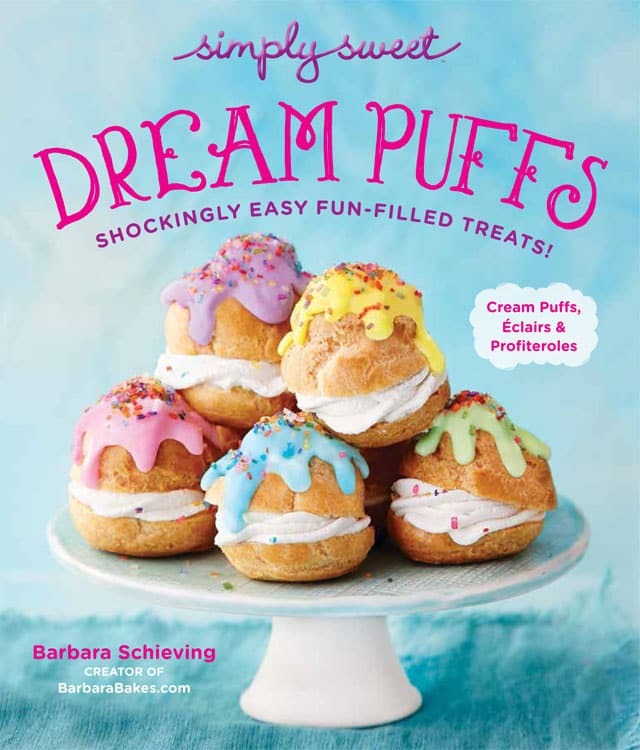 The cookbook is filled with fun stories, great baking tips and techniques (there’s a chapter devoted to high altitude baking), as well as recipes for the scrumptious bakery items and desserts served at Deer Valley Resort. I haven’t had the pleasure of eating a Chocolate Snowball, one of Deer Valley’s signature desserts, at the resort, but recently had the pleasure of attending a special Winter Menu Tasting with several other local bloggers and media. 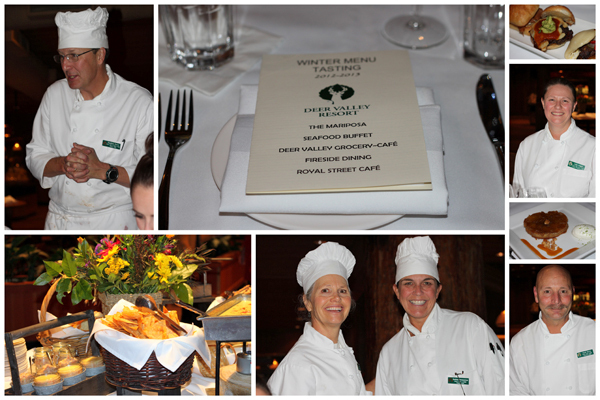 The chefs were there to talk with us about the delicious, creative new dishes they’ve developed for the winter season using fresh, local ingredients whenever possible. Letty was there as well, showcasing some of their new dessert options, including a heavenly Brown Butter Almond Pineapple Upside Down Cake served with Coconut-Lime Mascarpone Cream. Letty was so warm and wonderful, and even invited me come and hang out in the kitchen with her some time! 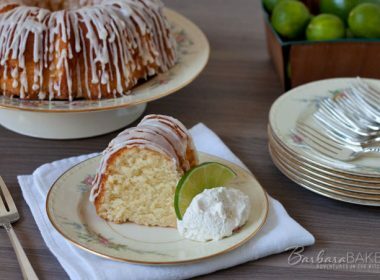 The original recipe in the cookbook, makes a large cake baked in a 8 inch stainless steel bowl. Letty says they often make individual ones for the buffet, so I decided to bake mine in foil lined custard cups. They also top the individual ones with white chocolate snowflakes, so I decided to add them to mine as well. Becky, Vintage Mixer, came over to my house to help me decorate the Chocolate Snowballs. We decorated them on little square pieces of parchment, so you could turn the cakes when decorating them. We struggled a little bit with the whipped cream getting a little watery. Next time I think I’d use a larger pipping tip, or stabilized or chilled whipped cream. Update: Letty emailed me advice about the whipped cream: From the looks of the stars on the snowballs, I think the cream is whipped too much/too long. Be like Julia Child and finish whipping it by hand to avoid the overwhipped peaks. Know that the star tip acts as a whipping tool as well so by the time the cream comes out of the bag it is overwhipped. We whip to soft peaks that hold their shape and they pipe very nicely with no worry of ‘watery” cream. The chocolate snowflakes are easy to make. 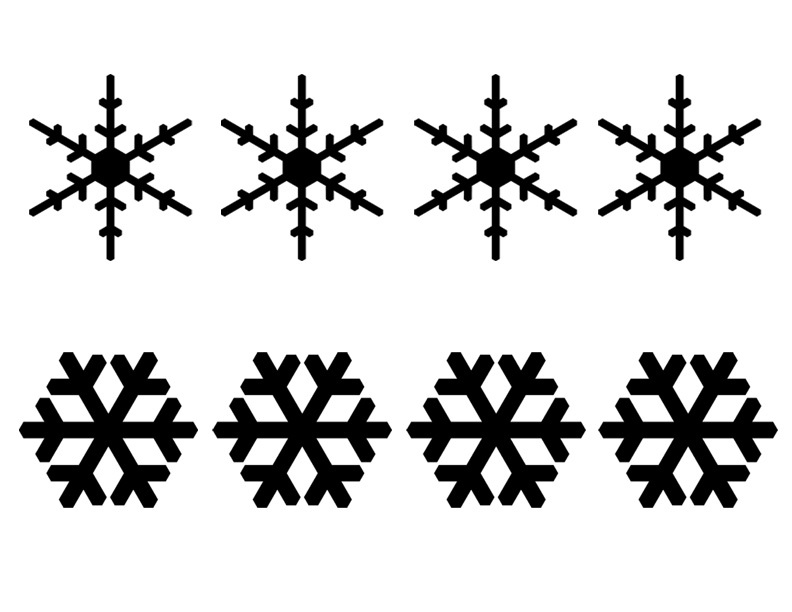 I created a snowflake template in Photoshop. We put the template underneath some parchment and piped the snowflakes on to the parchment. Becky piped her snowflakes delicately. I was worried they needed to be sturdier and piped mine a little thicker, but both held together well and were beautiful even with my not so great piping skills. We sprinkled the chocolate with a little sparkling sanding sugar after they were piped to dress them up a bit. Becky called me later to tell me how much she and her husband Josh loved this dessert. 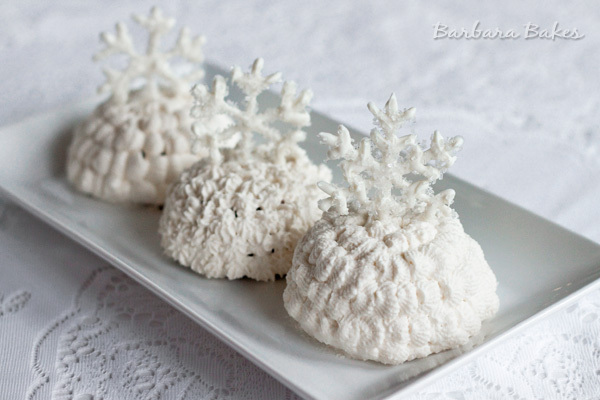 They’re fun to make and an elegant dessert to serve guests this holiday season. Preheat the oven to 350º. Line 8 custard cups with aluminum foil. Put the chocolate in a saucepan. Pour the hot water over the chocolate. Place over medium-low heat; add the sugar and stir with a wire whisk to dissolve the sugar and any unmelted chocolate. Add the butter gradually, a dollop at a time, whisking until the butter is incorporated before adding the next dollop. This should take about 10 minutes. Remove from the heat. Slowly whisk the beaten eggs into the chocolate mixture. Add vanilla. Pour through a strainer into the foil-lined bowls. Discard any bits of egg that remain in the strainer. Bake 20 - 25 minutes until the batter rises and a cracked top crust forms. The mixture will still juggle, like molded gelatin. Resist the urge to bake it a little more, the butter and chocolate set up when chilled. Let the cakes cool. 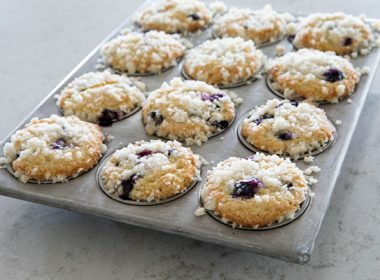 Fold the foil over the tops and refrigerate at least 8 hours, keeping the cakes in the bowls. Gently remove the cakes from the foil. The cakes will have fallen in the center; if desired (I didn't) trim the cake to make a flat even surface. Invert on to a serving plate or small piece of parchment. In a large mixing bowl, whip the cream with the sugar and the vanilla until the cream comes to soft peaks that hold their shape. Put the cream into a pastry bag fitted with a large star tip. Pipe stars, covering the dome completely. 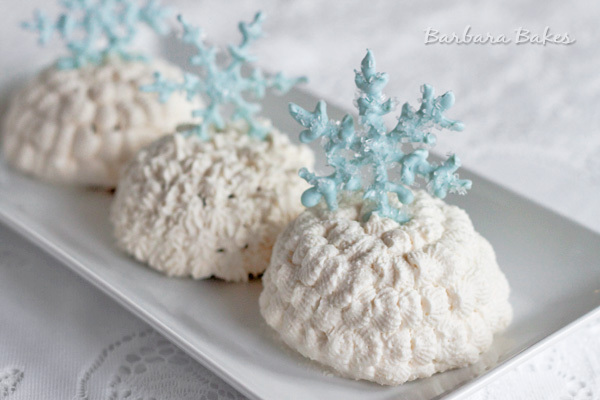 Garnish with white chocolate snowflake. Melt white chocolate in a microwave safe bowl on 50% power for a few seconds at a time, stirring frequently until chocolate is melted. Put melted chocolate into a piping bag with a#1 or #2 tip. On a flat baking tray, put printed template beneath a sheet of parchment paper and pipe melted chocolate on to the parchment in the snowflake shapes, moving the template as needed. Sprinkle with shimmering sanding sugar if desired. 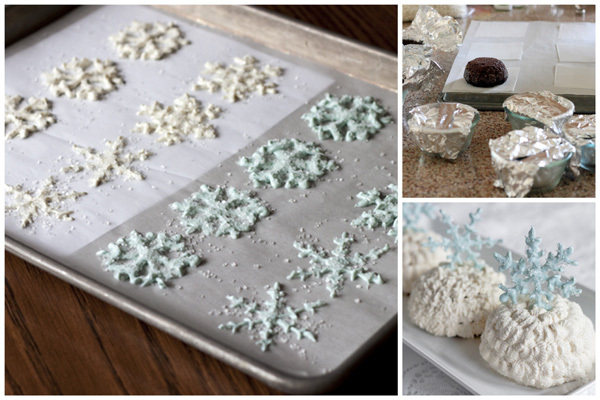 Allow snowflakes to set up at room temperature, then chill in refrigerator until needed. Disclosure: I was given a copy of Chocolate Snowball to review, but all opinions expressed are always my own. Can you tell me how big the custard cups you used were for this recipe? Thanks! Hi Tracy – they’re 6 oz Pyrex custard cups. These are gorgeous! 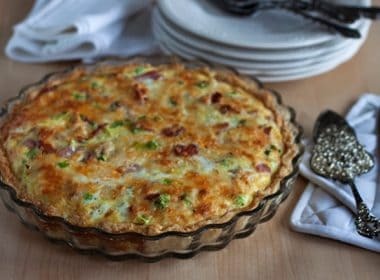 And they look delicious – will add this to my new cookie/desserts to try for 2012 holiday season. Would save this dessert for Christmas dinner! These look absolutely amazing and sound incredibly delicious…wow, I’m looking forward to actually tasting them! 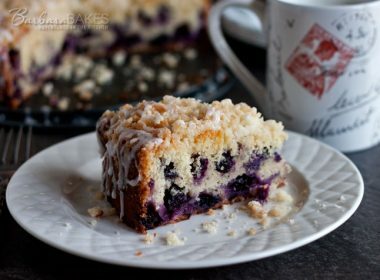 Gorgeous dessert! I know mine would never turn out like these. These are absolutely beautiful. Festive and gorgeous. 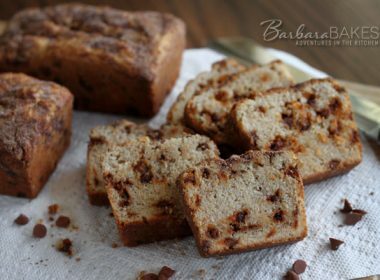 Barbara, these are so beautiful! And they sound so delicious… and decadent. Beautiful – these get pinned to my Christmas board. I want to try these! You make the prettiest things. WOW! I would like one right now! Decadence and deliciousness! I love that they look like little igloos, and the snowflakes are gorgeous!